Pioneers in the industry, we offer bottle sealing machine, high speed induction bottle sealing machine, perfume bottle sealing machine, premium bottle sealing machine, induction bottle sealing machine and pet bottle sealing machine from India. 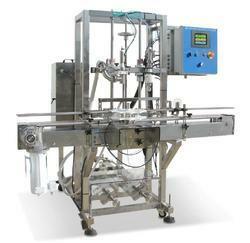 We are instrumental in offering our clients a high quality range of Bottle Sealing Machine. Following industry defined guidelines, we manufacture this machine by utilizing contemporary machines, modernize technology and prime grade material. In order to ensure quality, the entire range is rigorously tested upon a series of parameters. It is extensively used for bottle filling with various liquids and ingredients in chemical, food & beverage, pharmaceutical and other industries. Apart from this, we offer the entire range in a wide range of specifications as per the diverse requirements of our clients. 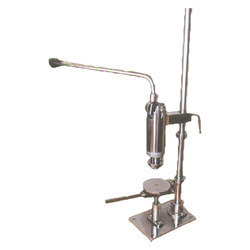 With years of huge industry experience, we are capable to provide High Speed Induction Bottle Sealing Machine. Our products are provided by us in internationally admired designs that assure efficient sealing of online induction wads and bottle seals. 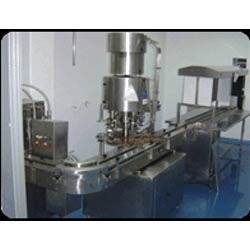 Owing to our rich experience and information of this area, we have the capacity to manufacture and supply a premium quality series of Premium Bottle Sealing Machine in Mumbai, Maharashtra, India for our prestigious clients. 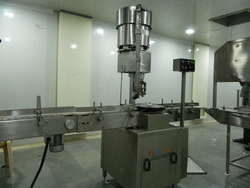 We are offering a wide range of High Speed Induction Bottle Sealing Machine. These High Speed Induction Bottle Sealing Machine are fabricated using high grade raw material and are known for high performance, efficiency, ease of use and durability. Available in standard specifications. 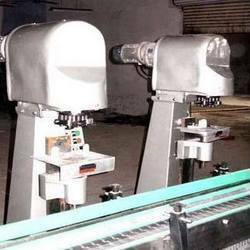 Capitalizing on the adeptness of our experienced workforce, we are involved in manufacturing, exporting, trading and supplying an extensive gamut of PET Bottle Filling & Sealing, Labeling Machine in Ahmedabad, Gujarat, India. Looking for “Bottle Sealing Machine”?